Welcome back for another weekly™ installment of your favourite news roundup, it's the HaloCustoms weekly roundup! HCS North America: Summer Pro League dates have been announced, starting at HCS Daytona on the 12th of March and finishing up at DreamHack Atlanta on the 21st of July. During that time, there will be seven matches between each of the teams where they will get the chance to play against each other in the hopes of becoming champion. Fresh from their HCS World Championship win in March, Optic Gaming will be looking to continue their winning streak; and of course they'll be the ones to watch, but they'll have a big target on their backs. Runners up from HCS Worlds, Team EnVyUs will be looking to get revenge from the finals and that golden opportunity they missed to knock down that green wall. The top six will go on to the finals at DreamHack Atlanta with 7th and 8th getting preferential treatment in the open qualifiers for a chance at a prize pool worth over $100,000. Check out the infographic below for all the dates. ALERT! DO NOT ADJUST YOUR TVs. THIS IS NOT A DRILL! A HALO GAME IS AVAILABLE ON STEAM. REPEAT: A HALO GAME IS AVAILABLE ON STEAM. DO NOT PANIC. PANIC SLIGHTLY. OK, PANIC. Yes, you read that right. Halo Wars: The Definitive Edition is available on Steam to download right now for your gaming pleasure. This release allows players both old and new to enjoy an amazing console RTS in an updated and enhanced packaged that includes all DLC from the original version. Offering up to 4k resolution on PC, improved Visual Effects, Audio and Graphics, as well as new Achievements and Bonus Content. A new community playlist was added to the Halo 5 rotation recently: Extermination. In a gamemode similar to Breakout, teams must work together to kill all enemy players before any dead players can respawn. Going up to nine rounds, the first team to win five of the nine will win the match.. 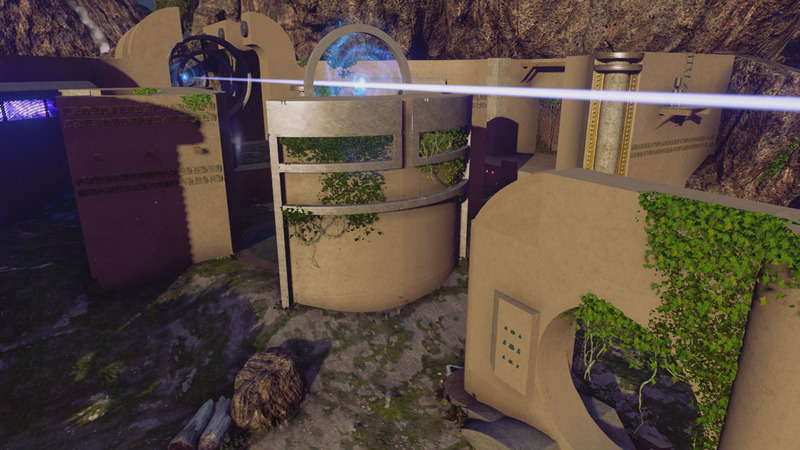 The playlist also features a set of community made maps designed along with the gametype. The community team behind the playlist have also built a set of Forge object groups which can be dropped into any map, both symmetrical and asymmetrical, as well as sounds to go along with the gametype. These can all be found in the Featured section of the Halo 5 Content Browser, as well as bookmarked by the The343Favorites gametag. That's all this week, see you next time! Looks like your original wording was... Eliminated.